Also known by the names trunk fish and box fish, These strange shaped fishes are made of exterior fused plates instead of having a skeleton. 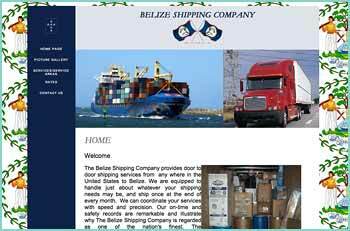 Belize’s variety has a triangular shaped appearance. Cow fish have “horns,” a spine over each eye that further differentiate them from trunk fish: Color and body patterns are very unique and varied among species. They have no pelvic fins when swimming they look as if they are hovering. Cow fish and trunk fish have fewer teeth than most other fishes and they have large jawbones relative to their size, they are generally 7-18 inches in length. They are unique in that they have gill slits without covers, they blow water jets into the sand when searching for prey, they secrete a toxic substance when threatened and they can move each eye in different directions at the same time. 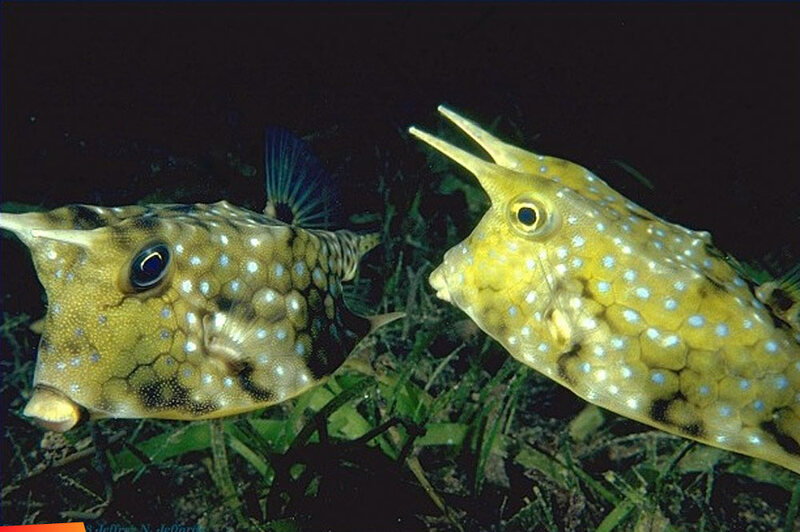 Cow fish live on reefs, in sea grass beds and sandy areas. They change colors to blend in with their surroundings, and may swim in open water or reside near ledges and holes. These odd shaped fish normally eats invertebrates such as sea anemones or sponges and also feast on hermit crabs, algae, worms and small bivalves. They can uncover burrowing prey with their spraying jets of water.